Keeping live blues music close to home and affordable. 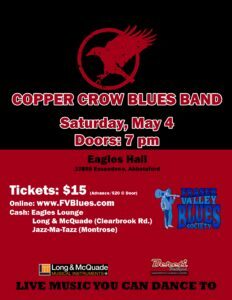 The Copper Crow Blues Band is a Chicago style band with infusions of Classic Rock and Texas Blues. Their style and energy takes you back to the heyday of the blues and juke joints of the USA. Coming to Abbotsford to light the Fraser Valley Blues Society stage, this band will be an evening of great entertainment and music pleasure. Won’t you join us? 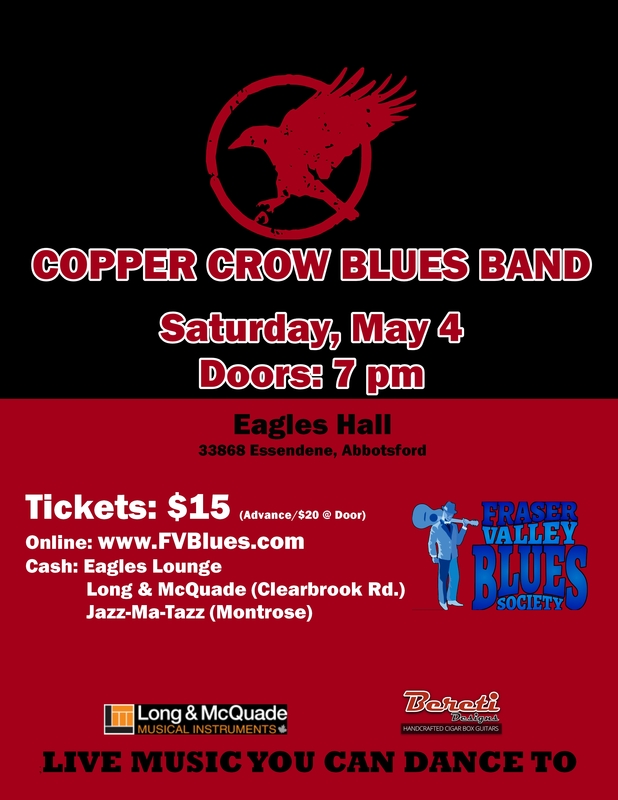 Buy Tickets online, or from our partner sites (with cash): Long & McQuade Abbotsford (Clearbrook Road), Eagles Lounge (Essendene), Jazz-Ma-Tazz (Montrose) or at the Friday Night Blues jam. 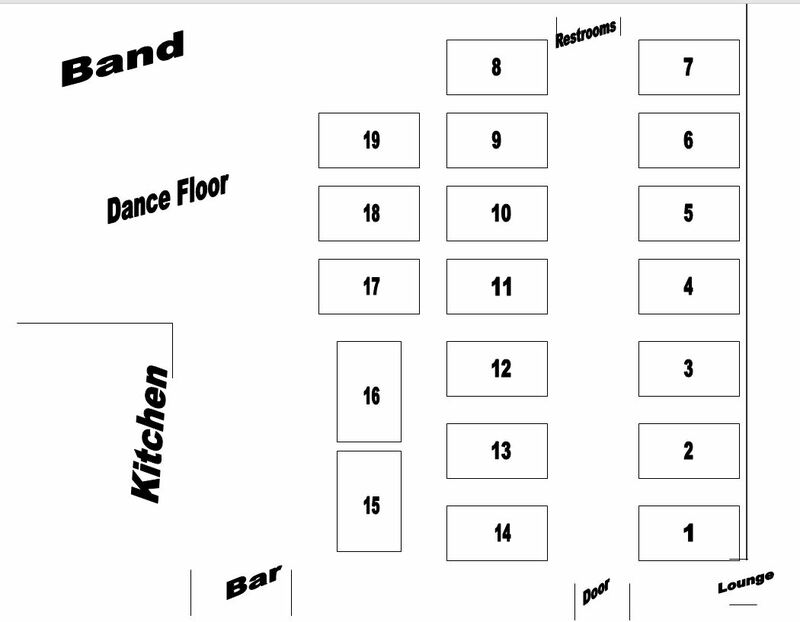 Members Only: This is the seating diagram – include 3 table number choices & the number of people you are reserving for (maximum is 4). Reserve your seats by sending an email via our form. 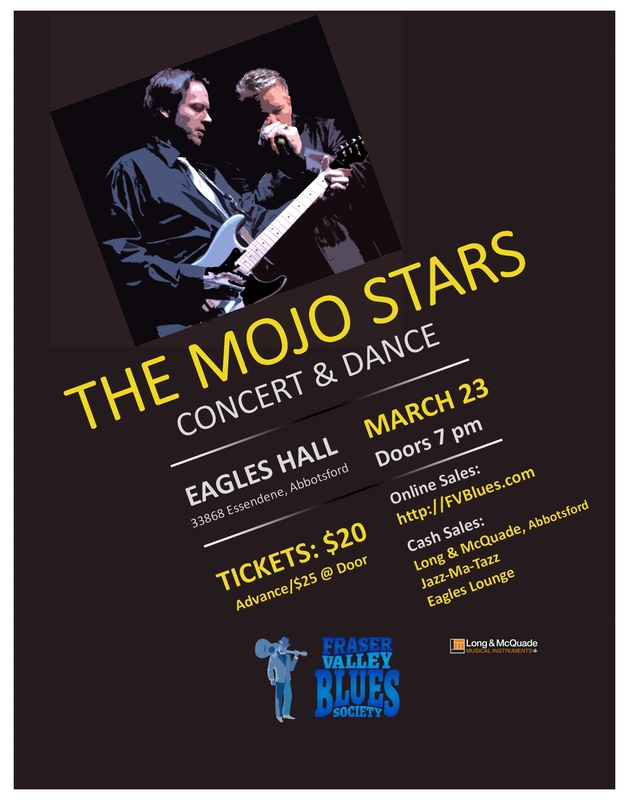 Formed almost twelve years ago, The Mojo Stars has deep roots in the blues and soul combined with a rock driven edge. In 2009, they recorded their first CD, Devil’s Advocate, a collection of ten original songs penned by Clarke and Rankin. The end of 2012 saw the inclusion of new members; Lee Oliphant on Bass, former Long John Baldry drummer Loren Etkin on drums, B3 player Kenny Boychuck (long time Jerry Doucette collaborator) and sax man Tom Gould to the lineup. Playing their return gig at the newly-opened Columbia Theatre in New Westminster, The Mojo Stars sold out the 500-seat-room and treated both old and new fans to freshly written material. In 2017, their second CD, Under The Influence, debuted in the top ten of the Roots Music Reports’ Top 50 Blues Rock Albums. Since then the band has played a series of high profile shows splitting the bill with acts like Curtis Salgado and Monkey Junk. They are continuing their legacy into 2019 with hosting some top notch musicians and coming to Abbotsford to show us what they are all about. Get your dance shoes ready – you are going to LOVE this band! Buy Tickets $20 online, or from our partner sites: Long & McQuade Abbotsford, Eagles Lounge, Jazz-Ma-Tazz or at the March jam. We are constantly adding new live music shows in Abbotsford and surrounding areas, join our mail list or Facebook page to get the latest news. Show tickets can be purchased online, from our board members or at one of our Ticket Partner sites (each poster lists those locations). 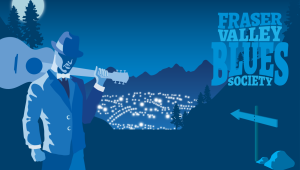 Email transfers for ticket sales should be sent to “info at fraservalleybluessociety.com” (sub the word “at” with @). You will receive an emailed receipt of payment. Online ticket sales processed through Square – your tickets will be at the Will Call table the night of the event. Please bring a copy of your receipt as proof of purchase. All ticket sales are final. No refunds. Refer to our Terms & Conditions. Note: The Eagles Hall does not accept plastic payment. Bring cash or use the money machine in the Lounge. Tickets available soon. Subscribe to our Newsletter to get notified. Held from Sept. – June Only.